A small town in California is reiterating its policy to provide sanctuary—sans the word “sanctuary”—to illegal immigrants, except the most violent criminals. Carlos G. Basurto, the city’s police chief, published a letter written in Spanish to the town’s inhabitants in February to reassure illegal immigrants that they are safe from deportation. 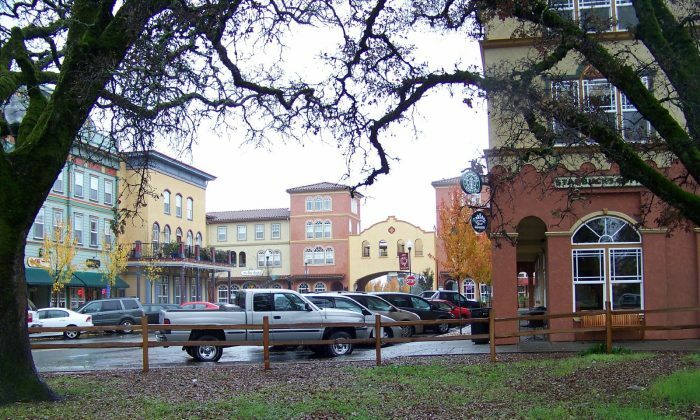 Windsor is located sixty miles north of San Francisco, in the heart of Sonoma wine country and has a population of about 27,000, based on Census Bureau numbers from 2013. ICE submitted 32 requests, called detainers, to the Sonoma County Main Adult Detention Facility in fiscal 2016. A detainer asks the facility to hold the inmate for ICE to assume custody within 48 hours of the normal release time. Of the 32, three were transferred to ICE. “The Sonoma County Sheriff’s Office no longer honors ICE immigration detainers … unless ICE presents proof that it has probable cause for the detention, for example by providing an arrest warrant,” states a resolution adopted by Windsor politicians on March 1. “The Windsor Town Council assures the community that town public services, including public safety services, will be provided without regard to immigration status,” the resolution says. “There are people committed to violence, drugs and domestic terrorism,” he said. Basurto said his grandparents emigrated to the United States from Mexico in the 1960s and worked picking fruit. Although he didn’t specify whether or not his grandparents resided in the country legally. Town Manager Linda Kelly told local Spanish newspaper, La Prensa Sonoma, that Windsor has steered clear from using the word “sanctuary” to avoid funding cuts President Trump proposed for jurisdictions that refuse to comply with federal immigration law enforcement.